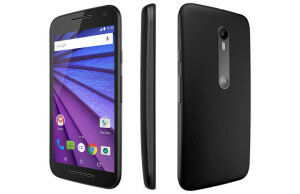 Motorola has launched its new smartphone Moto X Play in India, it is a dual-SIM 4G smartphone. You can buy this smartphone via Motorola’s online exclusive retail partner flipkart. It is available in two different variants, 16GB comes with Rs.18,499, while the 32GB comes with Rs.19,999. Moto X Play is available in two colors, which is Black with Black Back and White with Winter White Back. This device has one special app called Moto Assist, with this app you can be able to interact with your smartphone through voice commands. 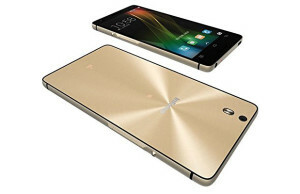 In this post you will know more about its features and specifications. It has got 5.5-inch full HD display and having resolution of 1080 x 1920 pixels. The 5.5-inch full HD display pixel density is 403 pixels per inch and also it has Corning Gorilla Glass 3, which protects the display from scratches and damages. The Motorola Moto X Play is powered by 1.7GHz Qualcomm Snapdragon 615 Octa-core CPU along with Adreno 405 @ 550 MHz GPU. It runs on latest Android 5.1.1 Lollipop. With this powerful processor and OS you can enjoy to playing your favourite games lag-free. As I said above it has two different storage variants 16GB and 32GB and top of that it has microSD card slot, so you can be able to expand upto 128GB using of microSD card. The Motorola Moto X Play has included 2GB of RAM, which is good enough for multi-tasking. The Motorola Moto X Play comes with the powerful 21MP rear camera along with dual LED flash, slow motion video, 4X digital zoom and many other features. It has got a 5MP front selfie camera with flash, so you will get nice selfies and also you will enjoy while video chatting with your friends. Connectivity features which are available in Motorola Moto X Play is 3G, 4G, Wi-Fi, Bluetooth 4.0 and NFC. Now a days battery life is also one of the important factor, but don’t worry Motorola has included powerful 3630 mAh battery in Motorola Moto X Play, which provides you up to 30 hours of battery life. Also Motorola states that with Turbo charging of just 15 minutes the phone gets 8 hours of battery life.